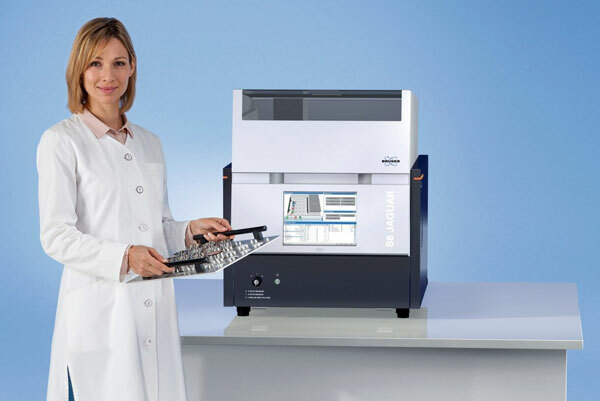 The new Bruker S6 JAGUAR is a benchtop WDXRF (Wavelength Dispersive X-Ray Fluorescence) spectrometer for elemental analysis in materials research and quality control. Fast, flexible analysis from a benchtop system. 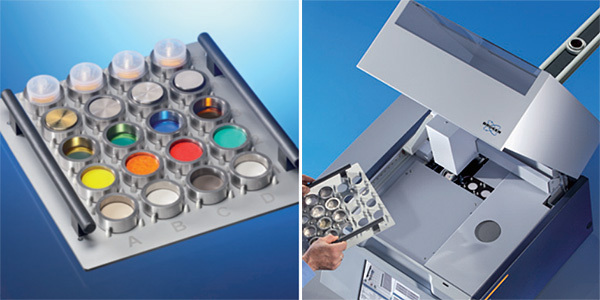 Components are protected by Bruker’s SampleCare technology for maximum uptime and low operating costs for liquid and powder samples. The new compact goniometer and detector deliver both high sensitivity and spectral resolution. Use up to 4 sample masks for various sample sizes, up to 4 analyser crystals and 2 detectors for fast multi-element analysis of the entire range of concentrations from ppm to 100%. Bruker’s SMART-QUANT WD software uses powerful fundamental parameter algorithms for accurate standardless quantitation, even for unknown samples. EasyLoad tray for 20 samples, and optional automation system. 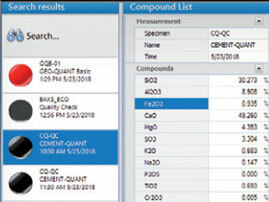 Routine samples can be run with minimal training, and you can restrict access to calibration and configuration settings. 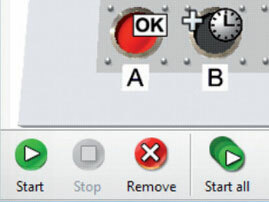 The instrument can also be controlled via a remote PC if you need to. The instrument is fully controlled by the integrated touchscreen. Select the sample position on the sample tray and enter a name. You can run single samples individually or queue up batches. 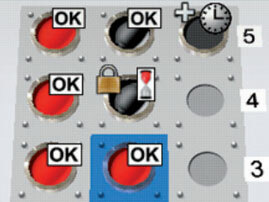 Instrument and sample status are displayed on the screen. 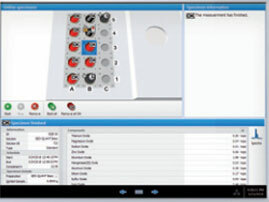 You can view and print results, and search the database of previous measurements.